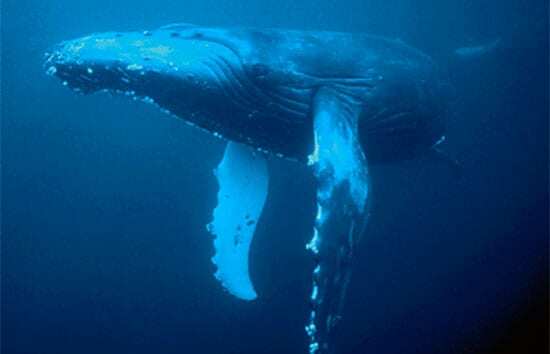 A new center has been established at Woods Hole Oceanographic Institution (WHOI) to pursue research on marine mammal behavior, physiology, and health, and the potential effects of human activities on marine animals and ecosystems. The Marine Mammal Center brings together under one umbrella a diverse group of scientists and engineers and state-of-the-art facilities and technologies. 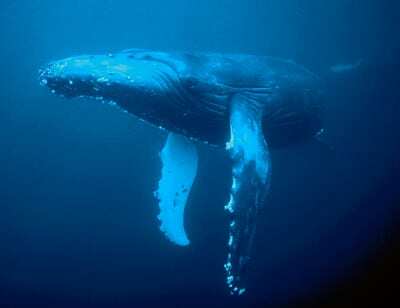 These include noninvasive devices and remotely operated platforms for observing animals and collecting data at sea. A new Marine Research Facility building houses a computerized tomography (CT) scanner with specially designed animal handling equipment, as well as necropsy space, freezers, and chillers to preserve and analyze specimens. Research conducted by MMC scientists has involved challenging issues that affect many parts of our society, including disease transmission and antibiotic resistance in marine animals; the impacts of climate change on marine populations; methods to decrease whale entanglements in fishing gear; ways to reduce the effects on marine mammals from sonar, collisions with ships, and construction and military activities along our coasts and at sea. A generous gift from Peter and Ginny Nicholas and family catalyzed the MMC’s formation. Continuing support will come from many sources. MMC researchers will be able to develop collaborative proposals to submit to a broad range of government, industry, and private funding sources. The MMC will encourage collaborations among researchers at WHOI and other institutions to further understanding of marine animals. MMC has initiated a graduate student fellowship with Duke University’s Nicholas School of the Environment to let graduate students at each institution spend time working with experts at the other. Additional multi-institution collaborations are being developed with the National Marine Life Center, the International Fund for Animal Welfare Marine Mammal Rescue & Research), and the New England Aquarium to further scientific research that improves understanding of the animals and informs global conservation efforts. IMAGE CAPTION: “There has been such an expansion of conservation-related work at WHOI that can inform important policy decisions,” said Peter Tyack, director of the Marine Mammal Center. (Photo by Marty Sanderman, Digital Stock). Jian Lin has been named a fellow of the American Association for the Advancement of Science (AAAS) for his outstanding contributions to seismology and marine tectonics. Lin, a senior scientist in the WHOI Department of Geology and Geophysics, is among 486 AAAS fellows elected this year by their peers. 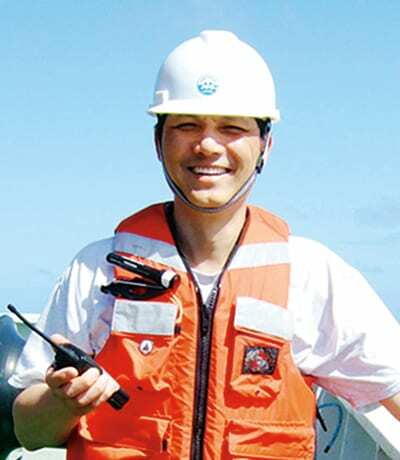 Lin has conducted pioneering research on earthquake interactions and global ocean ridge processes. He serves as chair of the InterRidge Science Program, which coordinates international cooperation in research and exploration of the deep-sea geology, biology, and hydrothermal venting of mid-ocean ridges. Lin is also a member of a U.S. national committee on tsunami warning and preparedness. Appointed by the National Research Council and the National Academy of Sciences, the committee reviews the U.S. tsunami warning and forecast system and the nation’s tsunami preparedness. “For all recognitions like election as an AAAS fellow, it is important to emphasize that our work is the result of collaborations with many talented students and with a large number of outstanding and dedicated scientists in the U.S. and throughout the world,” Lin said. Woods Hole Oceanographic Institution (WHOI) has successfully completed its “Depth of Leadership” campaign, the Institution’s Board of Trustees recently announced, with $194.6 million raised over the past nine years. This total represents the largest amount the Institution has ever raised in a campaign. The total included a $28 million anonymous gift given in 2002 to help endow the Institution’s four ocean institutes, the Coastal Ocean Institute, the Deep Ocean Exploration Institute, the Ocean and Climate Change Institute, and the Ocean Life Institute, which were established in 2000 to address areas of significant concern to the public and policymakers. Through their endowment, the ocean institutes have funded 213 research projects, 43 fellowships, 34 postdoctoral scholars, and 22 graduate students. In addition, the campaign provided significant funds toward the reshaping of the Quissett Campus under a master plan, and toward the construction of two new state-of-the-art laboratories—the first new labs at the Institution since 1990. The Marine Research Facility houses specialists in marine mammal and ecological research and includes space for medical-style imaging equipment and facilities for dissection and necropsies. The Stanley W. Watson Laboratory provides lab and office space for researchers in the field of biogeochemistry, which investigates the chemical interactions of living things with rocks, sediments, seawater, the seafloor, and hydrothermal vents. As part of a new Access to the Sea Program, the campaign provided funds to build and endow the R/V Tioga, a small, fast research boat designed and outfitted for work close to shore. With its mission to nurture the unique partnership of science and engineering at WHOI to develop new approaches for seagoing research, the Access to the Sea Program has enabled the Institution to continue to fund new ocean-observing technologies, keeping WHOI at the leading edge of innovation in instrumentation. 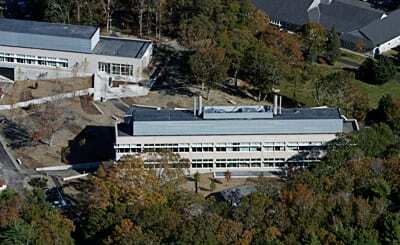 IMAGE CAPTION: The capital campaign provided significant funds toward the construction of two new laboratories on the Quissett Campus: the Stanley W. Watson Laboratory (foreground) and the Marine Research Facility (left). (Photo by Bird’s Eye View). The Office of Naval Research (ONR) has selected David Ralston to receive one of the U.S. Navy’s 2008 Young Investigator Awards. 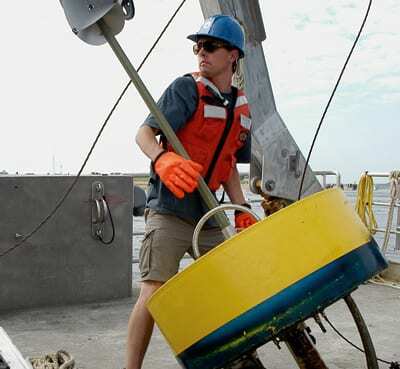 Ralston, an assistant scientist in the WHOI Applied Ocean Physics and Engineering Department, is among 27 researchers honored nationwide in the highly competitive Young Investigator program. Typically, about 10 percent of the submitted proposals are chosen for funding. This year the ONR received 208 proposals. Ralston will receive up to $100,000 a year for a period of three years to fund his studies on how fresh and salt water mix and spread in intertidal regions—salt marshes and mud or sand flats. He will also collaborate with participants in a larger ONR-funded project to study hydrodynamics and morphology on tidal flats near rivers. The Young Investigator program supports basic research by exceptional faculty at U.S. universities and research institutions who received a doctorate or equivalent degree within the past five years. Young Investigators are considered among the best and brightest young academic researchers in the country. The awards recognize research achievements, potential for continued outstanding research efforts, and strong support from their respective universities and research institutions. John Toole has been elected a fellow of the American Academy of Arts and Sciences, one of the nation’s most esteemed honorary societies and a center for independent policy research. Toole was cited for his outstanding contributions to his field. He is among 210 new fellows and 19 foreign honorary members—considered leaders in the sciences, the humanities and the arts, business, public affairs, and the nonprofit sector—to be elected in 2008. 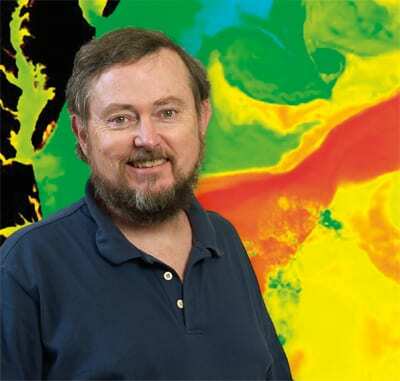 Toole, a senior scientist in the WHOI Physical Oceanography Department, focuses his research on ocean general circulation; global heat and freshwater budgets; internal waves and turbulent mixing; and instrument development. He is the co-developer of the “ice-tethered profiler,” an instrument designed to be deployed on a weighted line hanging below an Arctic ice floe. The profiler collects information each day on its position in the moving pack ice and takes measurements of seawater pressure, temperature, and salt content. The American Academy of Arts and Sciences was established in 1780 by John Adams, James Bowdoin, John Hancock and other scholar-patriots. Current membership includes more than 250 Nobel laureates and more than 60 Pulitzer Prize winners. 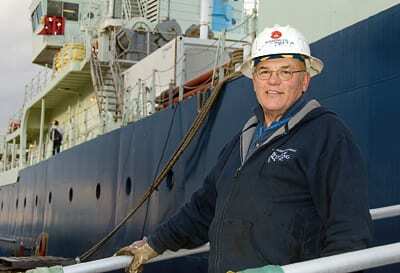 In three decades at WHOI, seaman Larry Costello has sailed in every ocean and visited dozens of foreign ports. None of those experiences equals the excitement created on Sept. 1, 1985, when Costello lowered a camera sled to the seafloor from the research vessel Knorr. It sent back the first pictures of the wrecked ocean liner Titanic, which had sunk 73 years before off Newfoundland after hitting an iceberg. Costello had been the last crew member still working on Knorr who had also been on board during Titanic’s discovery. Crew and scientists on Knorr held a moment of silence for the more than 1,500 people who died in the wreck. “From then on, everything just went crazy, and it seems that the interest in Titanic hasn’t stopped since,” he said. After college in New York, Costello moved to Cape Cod in 1978 to work as a landscaper. He needed steadier, year-round employment and soon found it working on WHOI’s research vessels Atlantis II and Knorr, as well as in the Institution’s rigging shop. On April 30, 2009, after a final trip to Hawaii on Knorr, Costello retired. It came a month after his 60th birthday and 30 years almost to the day since he first sailed with WHOI. IMAGE CAPTION:Larry Costello was aboard Knorr when Titanic was discovered. (Photo by Tom Kleindinst, Woods Hole Oceanographic Institution). Steve Elgar has been named a 2009 National Security Science and Engineering Faculty Fellow (NSSEFF) by the Department of Defense (DoD). Elgar, a senior scientist in the Applied Ocean Physics and Engineering Department, is the only oceanographer among eight fellows, who were chosen from a pool of 468 nominees. The NSSEFF program provides grants to distinguished, top-tier faculty and scientists from U.S. universities to conduct long-term, unclassified, basic research addressing some of the most challenging technical issues underpinning the DoD. The award includes a $600,000 grant each year for five years. NSSEFF fellows will work with senior DoD officials and scientists and engineers in DoD laboratories, to share their expertise and explore potential collaborations in DoD-relevant areas. Elgar’s study environment has been compared with working in a washing machine: He works in the surf zone, investigating how waves and currents change the shape of the seafloor in shallow water. 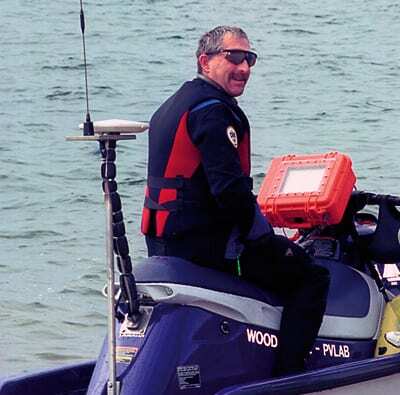 His fellowship-funded project includes a study of how and where rip currents are formed and how they change, which has ready implications for public safety as well as for defense interests, such as deploying troops from amphibious vehicles.